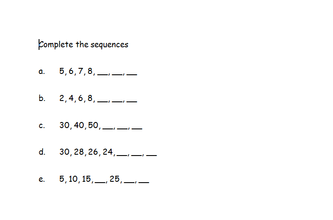 Here we have free maths worksheets about sequences. Click on pictures to see larger versions. A handy sequences worksheet for a quick lesson starter. 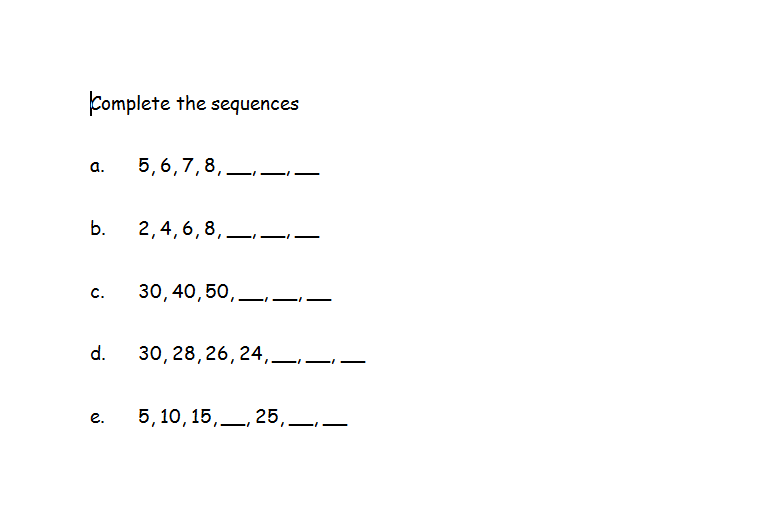 Pupils need to fill in the gaps to complete the sequences. 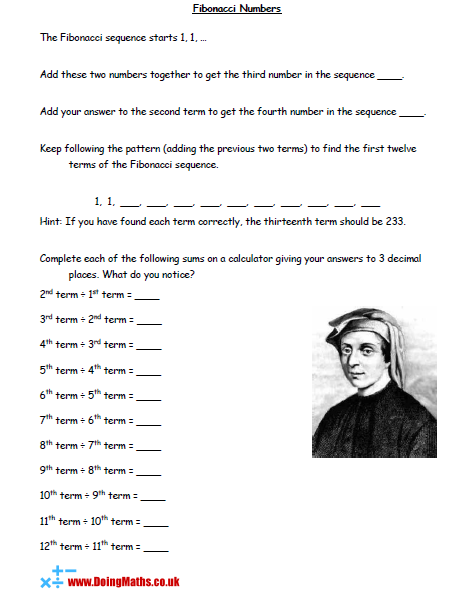 Introduce your students to Fibonacci numbers with this worksheet. It ends with the students dividing terms by the previous term to get closer and closer to finding the Golden ratio.